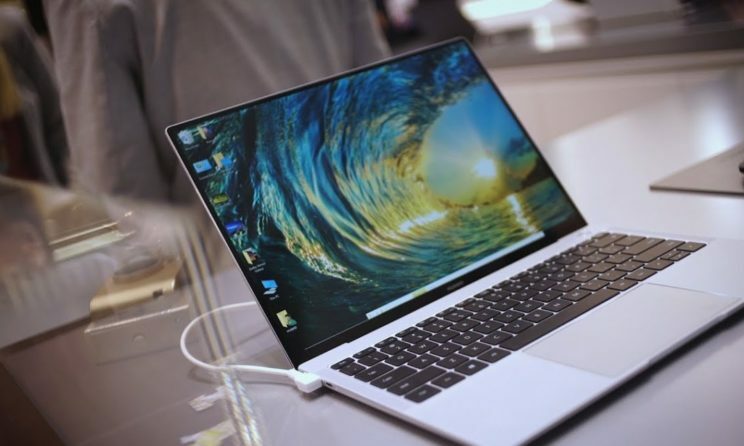 Huawei MateBook X Pro: There are many laptops in the market but, there is rarely any laptop which stands perfectly on more than 9/10 factors of comparison. Huawei MateBook X Pro 2018 is one such device which is extremely smooth and flawless. It is one of the most awarded laptops of 2018. MateBook X Pro well deserved the first position when compared with any other laptop in the same range. Now Huawei MateBook X Pro 2019 is out. So the very first question that comes in mind is if MateBook X Pro 2019 is as good as MateBook X Pro 2018. Let’s find out the features and changes in the latest Huawei MateBook X Pro. Huawei MateBook X Pro has a 13.9 inches screen with a 3:2 aspect ratio. The bezels around the screen have also been reduced significantly to provide more room to the screen. There are two speakers on either side of the touchpad having Dolby atoms. Moreover, the keyboard is revamped and now it feels more softly damped. The look remains the same and we get the same grey colour panel on the device. Overall, the device looks extremely premium and classy. The device has an IPS LCD display which is powered by an auto-brightness sensor which boosts the white light intensely when required. Similarly, open the device reduces the brightness by almost 50% when a dark thing has to be displayed. Hence, the adaptation of this device towards the brightness is amazing and will not fail to amaze you. The performance looks quite decent and powerful on paper. The 8th generation quad-core Intel i7 processor CPU variant is powered by 16GB Ram and 1TB Samsung SSD. Additionally, the device is also powered by an Nvidia GeForce GPU. The device works smoothly even when you are multitasking heavily. You can shoot and edit 4K videos with Adobe premiere smoothly without facing any kind of slow down. Besides, the keyboard of this device attracts a lot of people because of its premium looks and feels. It seems that it can outperform major devices including the MacBook. The touch is extremely on the mark and is not over sensitive like the one found on various Apple Devices. The webcam can shoot 720p videos easily. Another amazing feature of the device is that it has a full-sized USB type A port. Most other ultrabooks are using the USB type C. It also has one USB thunderbolt 3.1 port. Besides, there are two video output ports which can be used as charging sockets interchangeably. The price for Huawei MateBook X Pro has not been confirmed in the UK. However, we have a basic hint of pricing. There are variants of this device. One variant has Core i5 and the other one has Core i7. The Core i5 model costs around $ 1799, While the core i7 model, costs $2249. The i5 model is powered by a 16GB Ram and 1TB SSD. Similarly, the Intel i7 processor variant also has a 16GB Ram and 1TB SSD. Its only true competitor is Dell XPS 13 which also has two variants and its price is roughly similar to Huawei MateBook X Pro. Huawei MateBook X Pro 2019 is a great device which cannot perform some other major devices in the market. However, experts feel that at the technological upgrades have not been on the mark if we compare it to its predecessor. There are marginal changes in the performance and specification of the 2019 variant. But that doesn’t mean that you should not buy this. It is an amazing device, however, it is not a good option if you are looking for upgrading the 2018 variant.